Island Air Service fills a niche for many pilots who do not have the hours to qualify for the regional or major airlines. We have been able to keep a full complement of pilots because Island Air Service offers a unique opportunity for pilots to build time in a demanding flying environment while working with some of the best in the business. Steve Routh is our newest pilot at Island Air. He comes to us from Port Alsworth where he has been flying for the past 7 years with Lake Clark Air. Although Steve has extensive experience in single engine, multi-engine and float planes, he still had to undergo the rigorous training program at Island Air Service. New pilots must complete a comprehensive two-week ground school that covers FAA requirements, navigation, hazardous materials, weight and balance and local procedures. All Island Air Service pilots start out in the Cherokee 6, so part of the training requires “ride alongs” where they accompany qualified pilots to all our destinations. This gives them a first hand look at the area and exposes them to the routes and techniques involved in flying around Kodiak Island. Once they complete ground school, they undergo additional flight training with Island Air Service’s flight instructors. Depending on the weather, this usually takes another two or three weeks. After they complete their check ride, they must complete another 6 hours of IOE or Initial Operating Experience. This portion requires flying as the pilot in command of the aircraft to all six village destinations – all of this happens under the watchful eye of our flight instructors and check airmen. After the pilot completes IOE, they are considered qualified to fly the line. We should mention that not everyone passes this demanding training program. Some pilots wash out. 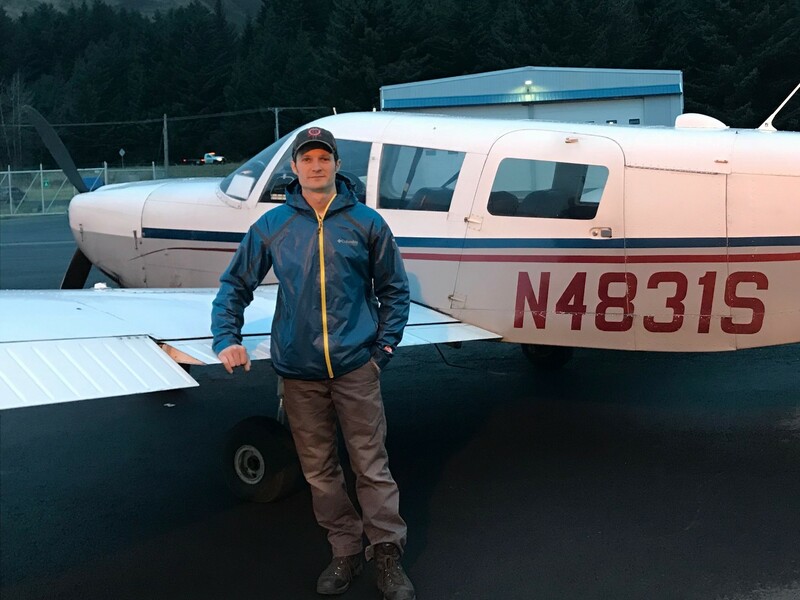 Flying aircraft commercially in Kodiak is very technical and requires a high level of skill combined with good local knowledge and excellent decision making. Steve Routh is just finishing up his IOE. He first got interested in flying in high school in North Carolina. He completed his training at LeTorneau University, a Christian university in Texas. He also added his A&P mechanics certificate. Steve and his wife recently welcomed their new baby girl to the family. Now he and his wife and four children are moved in and loving life in Kodiak. Be sure to ask Steve about his training and flying in Alaska. We are really pleased to have Steve at Island Air Service and look forward to working with him as one of the Island Air team.